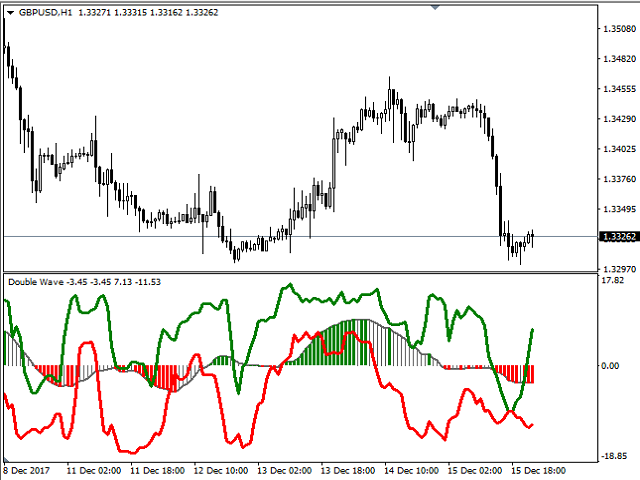 Double Wave applies standard indicators, volatility, volume and a number of custom approaches allowing for efficient combination of all mentioned tools. The indicator allows you to define possible price reversal points both in the direction of a trend (preferable) and against it. 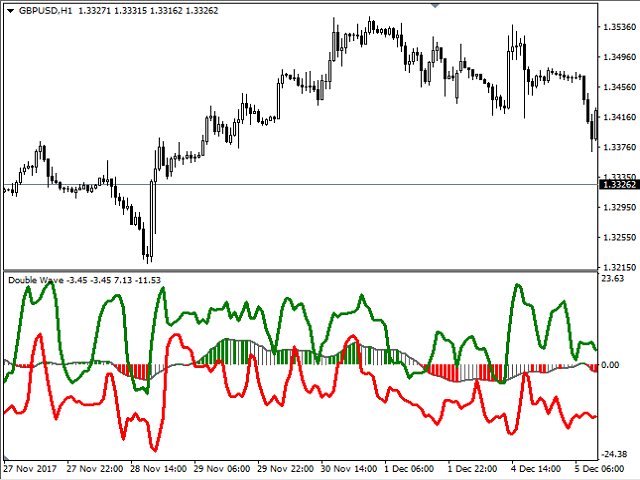 Also the indicator assists in determining the trend and visualizes it by displaying a histogram. 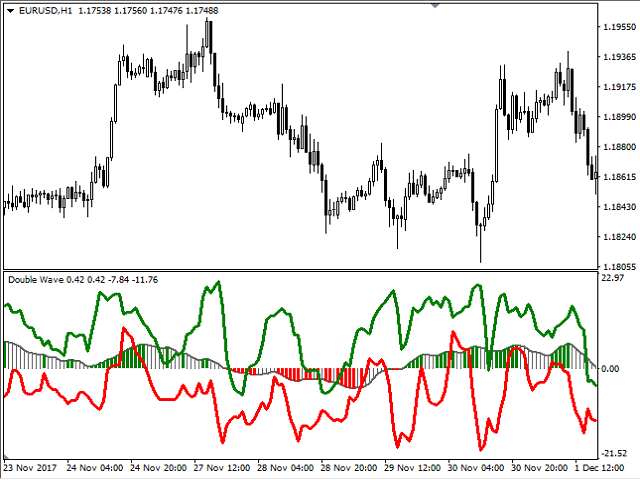 The indicator works with any symbol provided that you have sufficient history data for a timeframe the indicator is launched at. 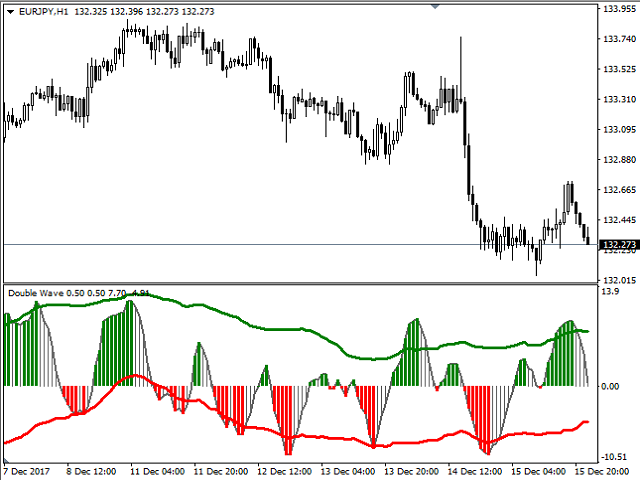 Timeframes from M1 to D1 are recommended for Double Wave. 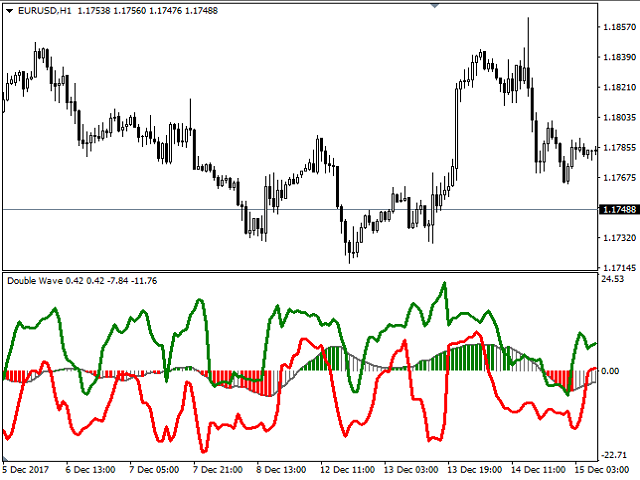 Alerts are activated when one of the indicator lines crosses the zero level on the current or first bar depending on the settings. 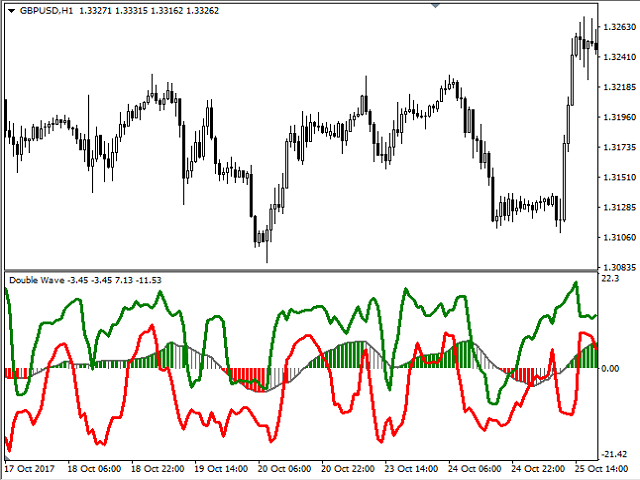 A trend change notification is generated when the histogram crosses the zero level. HistoryBars - number of bars for display. DBTPeriod - period for trend calculation. Delta - delta between the indicator lines. VModifi - modification using the tick volume. 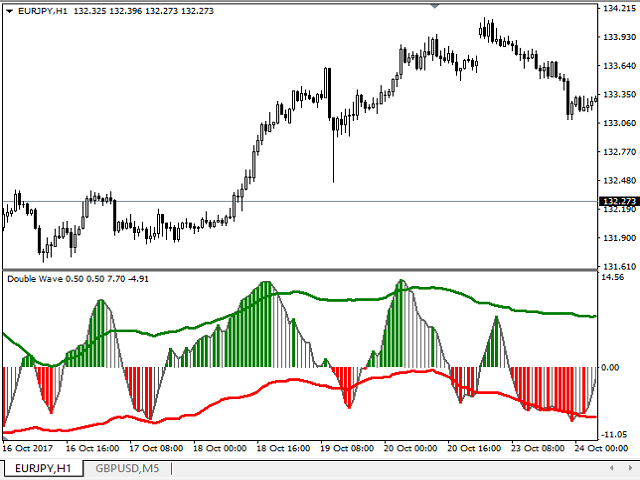 ShowLine - show the indicator line. ShowGisto - show the trend histogram. Alerts - if true, alert is enabled. AOnCurrent - if 'false', alert is activated at a new bar opening, if 'true', alert is activated on the current one. AMessage - display a dialog window. ASound - generate a sound alert. AEmail - send an email using an address specified on the Email tab of the options window. ANotificaton - send notification to mobile terminals. soundfile - the name of the audio file. Added display of the current trend. 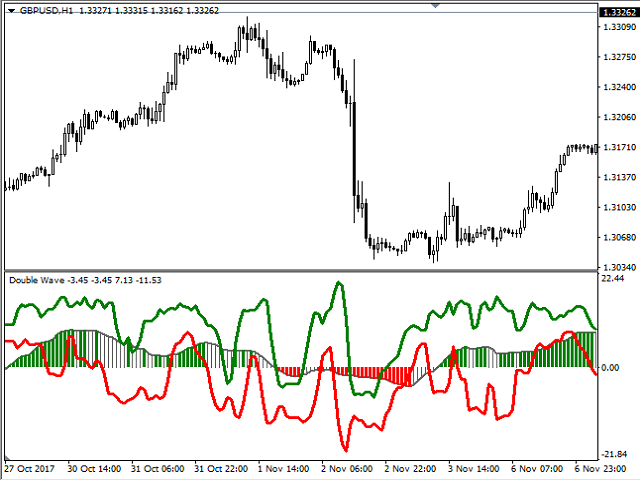 Smoothing parameter has been removed to speed up indicator operation.